Ever since Stiliyana fell pregnant in 2015, she has been exclusively interested in the maternal-female body as a ‘subject-in-process’. The methods used for the examination is taking the woman as both the surveyor and the surveyed within her entity as two constituent, yet always distinct elements within her identity as a woman. ‘Women watch themselves being looked at’. During the birth of her daughter Stelena, her artistic focus took more institutional direction and started questioning the definition of labour during the negotiations between the woman and institution. A question which arose during the birth was whether the woman’s labour begins when she is officially admitted to the hospital and agreed by the personnel and whether the maternal experience is filtered through a screen of social influences. Her film ‘Parturition’, shot whilst giving birth at St Thomas’s hospital used the personal processes of both labour and birth as instruments to trace their appearances as a journey outside memory and rational thought, to a place that supplies material for the production of meaning that remains forever out of reach, but turning it into a live project by directing and acting in a diversification of roles. The artist believes that the processes of both birth and labour are the transformative events through which the birthing mother would be able to recognise, consequently materialise her subjectivity. 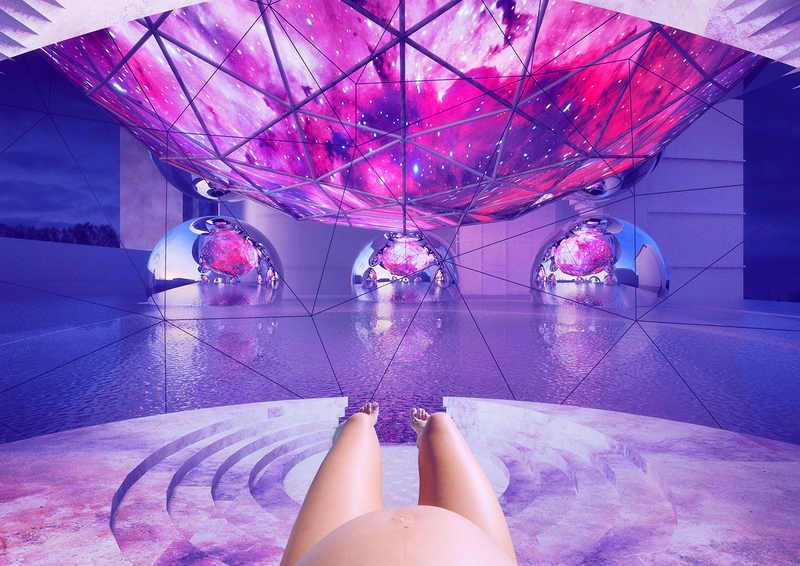 The conceptual division which the woman experiences during birth giving creates a space of progression. Progression from the internal feminine environment of the womb to the external space of life itself. The consciousness becomes the expanding womb as the woman turns into an extension. Stiliyana continues to be interested in the theme of deinstitutionalisation. She would like the birthing mother to be turned from a medical object into a celebratory matriarchal reproductive economy. Birth is neither a disease, nor an illness. In fact, it is the most beautiful battle which leads to even more beautiful experience, the one of motherhood. “Stiliyana Minkovska,” Artist Parent Index , accessed April 22, 2019, http://www.artistparentindex.com/items/show/303.